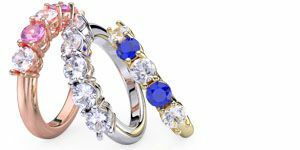 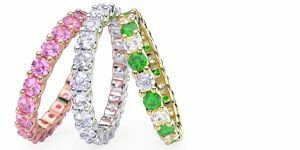 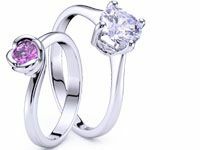 The Round Cut Diamond Maia wedding ring is an exclusive Diamond Eternity Wedding Band of 0.88ctw cut round and fitted with 88 stylish gems from a choice of blue sapphire, ruby, pink sapphire, emerald and diamond. 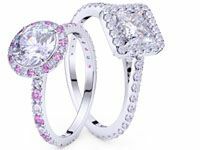 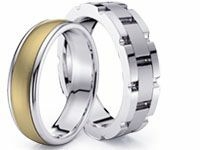 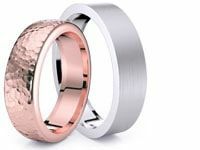 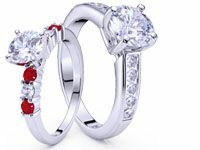 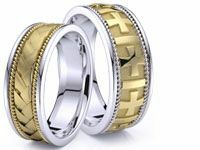 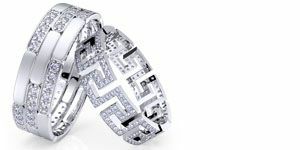 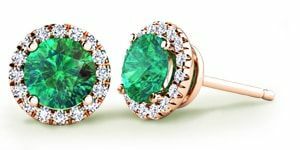 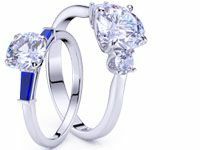 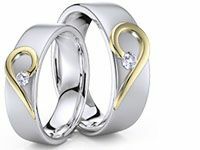 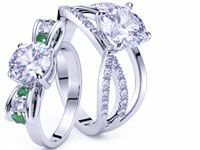 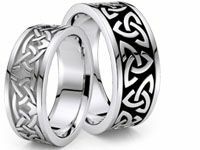 A light weight of 2.90 gm in custom materials of yellow, white or rose gold in 14K or 18K or white platinum would make the bride feel light-hearted. 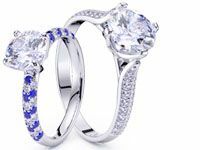 A stunning offer made in NY,USA.